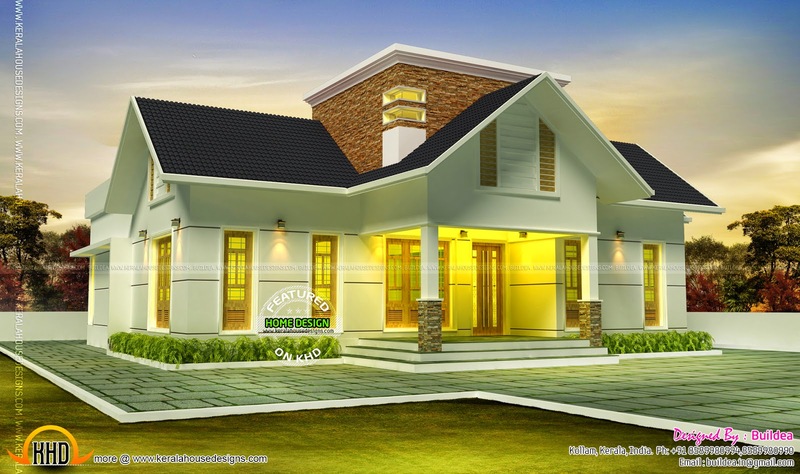 3 bedroom single storied sloping roof style house rendering. The total area of this beautiful small house is 1500 Square Feet (139 Square Meter) (167 Square Yards). Designed by Buildea, Kollam, Kerala.